In the portrait of Lydia, I was fascinated by the different colours of light and shade and the delicate other-worldliness of the sitter’s profile. 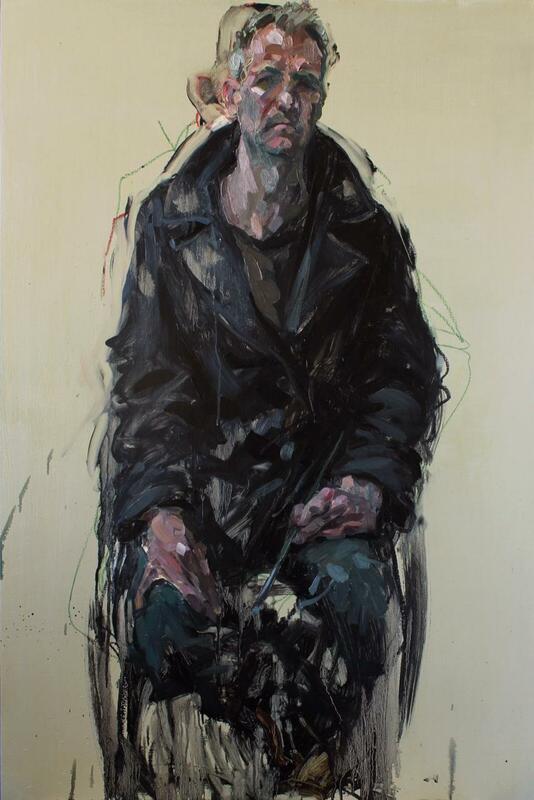 Self-portraits enable me to take greater risks, to explore the boundaries between the abstract qualities of the paint and the identity of the sitter - who is present both in the image and in the marks that make it up. My work is about trying to capture the energy of the sitter, using the expressive qualities of paint while working from life. ! am interested in the complexity and transience of experience. I try to translate that into a representation that is both authentic and sensitive to the subject. I am a portrait and figure artist,and teacher based in Edinburgh, where I teach workshops in painting, drawing and anatomy. I studied at Edinburgh College of Art and have exhibited widely in the UK and beyond. My work has featured in the BP Portrait Awards exhibition and the Threadneedle Figurative Art Exhibition. I have participated in the Sky Portrait Artist of the Year and published two books: The Language of the Body (2012) and Unstill Life (2017). Julian Fellowes, 2014. Oil on panel, 80 x 60 cms.